The Scorpions have released footage of “He’s A Woman, She’s A Man” from a 1978 performance on the German television program Rockpop. The tune originally appeared on the group’s 1977 album “Taken By Force” – one of 8 projects released last month as part of a 50th Anniversary Deluxe Edition series. 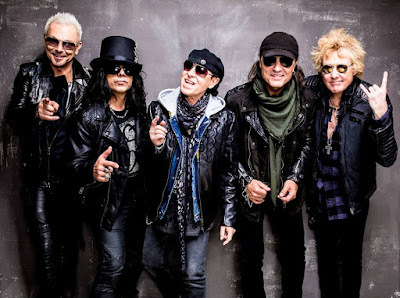 The Scorpions placed six of the eight expanded reissues on the German album charts, making them just the fifth music act to do so; previous artists to have achieved the milestone include The Beatles, Whitney Houston, Michael Jackson and James Last. Scorpions will continue 50th anniversary tour in the New Year with shows beginning February 17 in Odessa, Ukraine.